Screenshots of a web page can be extremely useful for different kinds of reasons. While majority of the current day operating systems come with integrated screen capturing feature or the ability to clip, there are times when you may need advanced tools. For the advanced functionalities, you would need the assistance of third-party apps and plugin tools that help you to fine-tune your screenshot by selecting a certain area of the screen or a complete web page. There are umpteen screen capture tools available online, but, if you are looking for a software full of features and specially designed for Windows, we have a list for you. ShareX is a free and open source screen capture tool that’s designed chiefly as a file uploader. It supports a whole lot of services for you to upload your files and the list is endless. We especially like the capture mode that helps preserve the screen content as it was when you began capturing the default. In addition, it also allows the user to record unlimited video with all the options as available for usual image capture. Among its major features are, capturing with annotation along with automation allowing powerful workflows, capturing screenshots, editing the same, converting to PNG format, deleting the background to make a transparent version, saving in Google Drive, creating images in all sizes, or uploading thumbnails. Awesome Screenshot is an extension for browsers like Chrome and Firefox that can capture a certain section of the screen (of a website), the visible section in the browser window, or the complete web page at one attempt. The software features an integrated editor that helps you to add shapes, pointers and annotations providing blur effect to the graphics. Bonus – it features customizable keyboard shortcuts. In addition, it allows you to save the images in JPG or PNG formats to a certain directory, or to its own free cloud storage space. Icecream Screen Recorder helps you highlight specific areas or sections of a captured image. 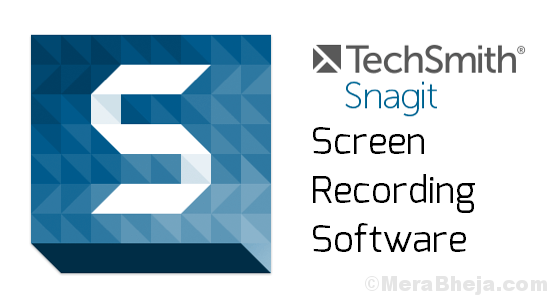 It’s a highly innovative, professional, and up-to-date screen recording software for Windows. it’s a great alternative to the usual screen capture tools available in the market. This tool is perfect for those using multiple browsers while surfing internet daily. Some of its best features include, the option to capture an image of a selected portion of the page or the full window, all standard screen capture functionalities, recording of online videos, ability to capture different video formats from sources like YouTube, Vimeo, or Dailymotion, ability to capture videos in a single click, ability to add annotations like arrows, and circle line boxes in videos, ability to save screenshots directly to hard drive, and the option to save the screenshots in different file formats. If you are looking for a user-friendly tool rich in features, then there could be nothing better than Pick-Pick. Apart from helping you capture and edit screenshots, it’s known for the host of editing features that all come packed in the same interface. All you need to do is to simply select from the list that includes screen capture tool, protractor, color picker, pixel ruler, whiteboard, image editors, etc. From adding text annotations or drawing arrows to even drawing shapes, or apply advanced edits, you can do a lot with the integrated editor. Moreover, the software is free to use and is portable. This helps you to save it on a flash drive and use it on any machine without any installation. Although its neither a free nor a cheap tool, but Snagit justifies its price tag every bit with its features. Its one of the best screen capture software around that has improved a lot with its new version 11 that also works with Windows 10. It offers a Smart Window Detection feature that crops images for you to automatically select to capture an entire window or just a portion of the window. This tool also offers a unique feature that is, OneClick tool that can be pinned at the top of all windows. This makes it convenient for you to capture screenshots and a host of annotation tools. Moreover, it also offers a wide range of features that help you with sorting, tagging, and screen sharing. Greenshot is again a free and open source screen capture tool that comes with a classic user interface layout making it user-friendly. One of its major features is the function to freeze the screen as you capture. Which means, as you enter a capture mode, the screen content is saved in the same way as it was when you started capturing. 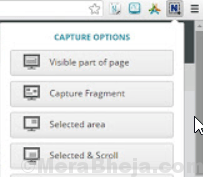 Among its other features are, option to annotate, highlight, and obfuscating screenshots, ability to capture the entire page in one single image by scrolling through the page, instead of simply capturing a portion of the page, selecting a captured area by just pressing the print screen button, and a user-friendly selection tool accompanied with a magnifier to select only the required part of the screen. Nimbus Screenshot is another great option that’s browser based and goes with all the major browsers like Chrome, Firefox, and as a Windows desktop app. It allows you to not just take screenshots of the complete browser window, but also a selected section of the webpage or the full webpage. In addition, it lets its users edit and annotate screenshots using its integrated tools. What’s more? You can also get printouts of images, save images to the system drive or clipboard, upload to cloud storage and share them easily. The desktop app includes screencasting features for those who wish to record video clips. The FireShot software allows its users to screen capture a selected section of the page, an extended screenshot of a full web page, or across the visible area of the browser window. It’s compatible with all major browsers like Firefox, Chrome, and the Internet Explorer. The best part about this software is that it allows you to save the screenshots in multiple formats. You can also share the screenshots to different social media platforms. What’s more? You can also add arrows, shapes or text, or even draw over the images using the software’s internal editor. 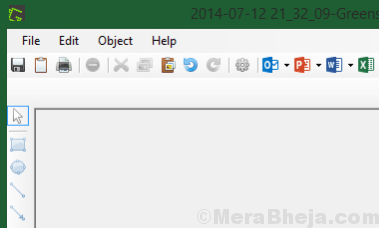 Moreover, you can set the tool to automatically open your favorite external image editor while taking screen captures. OBS is a free and open source screen capturing software that offers you the closest experience to a studio quality, business level solution, free of cost. It offers complete support for multiple scenes, simple and effective overlays especially for a new product with easy learning curve but tough to master, chroma keys, and built-in animation. Best of all its easy to use, and also available for Mac and Linux in addition to Windows. Screenshot Captor is an aesthetic looking screen capturing tool that’s not just free of cost, but is also feature packed. It offers a multitude of screen capture options and integrated editing tool. 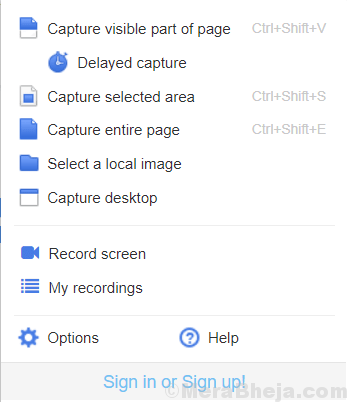 It allows the users to take screenshots from the complete screen, active window, selected section, or even extract images from a scanner. You can then apply different special effects, crop, rotate, blur, or even annotate these images. The best part is, the tool is also available in a portable version for free. However, to access the software, you must sign up to DonationCoder’s forum for a free license key. 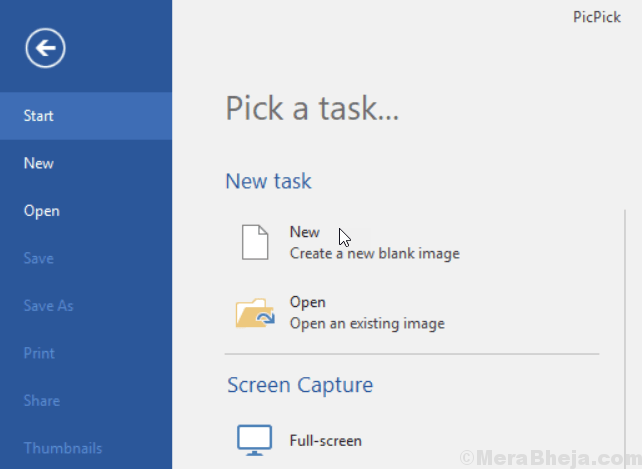 SnapCrab is a useful screen capture tool for Windows that helps you to capture screenshots at any place on your desktop. It allows you to save the images in different formats such as, JPEG, PNG, or even GIF. Best of all, it allows you to highlight the screen area that you wish to be captured or capture the full screen. The software enables you to capture translucent windows and web pages from your browser by connecting via Sleipnir. It also features a self-timer option that helps you keep track of every moment. Bonus – its integrated social features allow you to share your screen across different social media platforms. FastStone Capture is another screen capturing utility that comes with great capture flexibility, from entire screen to any part of the screen. It’s an extremely lightweight and intuitive tool that offers a perfectly functional scrolling window, in-built image joining, scanner support, favourable magnified preview as you set boundaries, and support for video capturing and editing. What’s interesting is, that it’s always available via hotkey, and doesn’t impede with any other programs or operations. It features onboard editing or output to external programs. Snippet is a screen capturing tool that’s multipurpose and allows you to capture the complete window or a selection. It allows you to either use, edit, or annotate it in the same manner as the regular screenshot, or paste it back onto your desktop in the form of a floating image window. This screen capturing tool features a magnifier, and colour picker, while the image editor features basic annotation utilities like the shapes, texts, blur effects, and markers. Snipped images can also be pasted to the desktop in the for of image windows, and translucent or click-through windows for quick reference. LightShot is another addition to the free screen capturing tools that works wonders on your PC. It features a responsive and easy to use interface that lets you capture screenshots in just two clicks. All you need to do is to hot up a hotkey, and the software will capture a screenshot of a portion of your screen or the complete screen. This tool also features an editor tool for adding text annotations and other edits, just like the other screen capturing programs. Moreover, you can also create a free account helping you to have your own online gallery for quick and easy reference, link sharing, and for online backup. Screenpresso is a free screen capturing program with all features available. The best part about this tool is its integrated image editor that allows you to add arrows, balloons, numbered steps, and more. It’s a lightweight program offering options for capture and good captured screen editor. M, it can create video sin MP4 format. Price: Free version available; Upgrade starts from 28.89 €per user. Gadwin Printscreen is one of the well-known screen capture apps that comes packed with state-of-the-art image editing and annotation functions, all covered in a user-friendly interface. While the default key is PrintScreen, there are a host of other hotkeys combos to work with. The tool allows you to capture either the compete screen or a portion of the window. Once you have finalized your favorite combo, you can skip to the Destination tab to either have get the screen printed immediately, copy to the clipboard, or store it on a particular folder. Not just that, the tool also allows to choose from the 6 customizable image formats. What’s more? You can also share the screenshot via email. ScreenTake is another efficient yet free screen capturing program that not just allows you to upload your screen captures to cloud and create a shareable link, but also allows capturing animated GIFs. Adding to it, it allows annotations, smart sensing (automatic selection of the screenshot), moving resizing, or modifying the drawings added, easy to share by simply clicking “choose a picture and upload” option from the program icon and share, support for Google WebP, adding transparent effects to your drawings, fast, simple, and handy interface, support for multiple languages and screens, and so on. With tons of screen capturing tools for Windows around, it can be a tough choice to choose the right one. But, if you know your requirement and want to avail the best features at lowest price or for free, you can choose from the above list and get going with your screen capture mission.